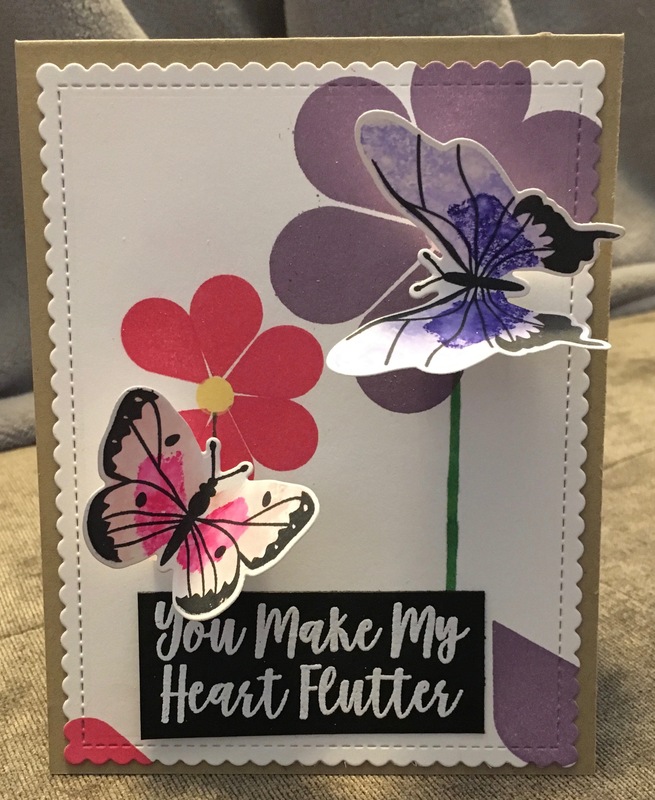 I&apos;m submitting the following card for the MFT 2017 Card Design Superstar"
I used the Color Drop stamp set to create flowers then popped up the Beautiful Butterflies to give it dimension. I have an extra flower petal for each flower at the bottom to recreate the "Lost Petal" effect. I used Tombow markers to create the butterflies for a watercolor look. I used Blueprints 27 to cut out the background for this card.